Now you can be transported to paradise with the inviting scent and satin feel of our nutrient-rich massage lotion. 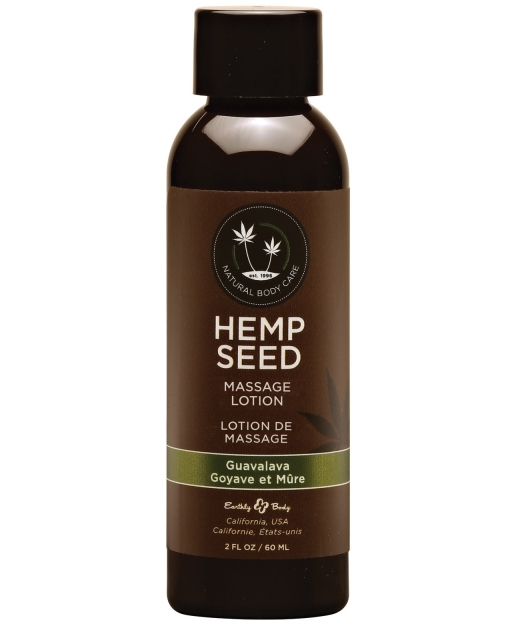 Specially formulated with a blend of Hemp Seed and Argan Oils, this deep moisturizing lotion provides an ideal glide for the perfect massage that leaves skin feeling smooth and nourished. From Earthly Body. 2 oz. Guavalava.